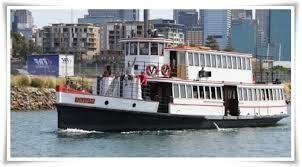 Over the last 27 years Tony maintained and worked on the restoration of five of Sydney Harbour’s Historical ferries. As a shipwright Tony took an interest over the years and ran his own ferry, The Mulgi and helped others with theirs.The Mulgi was used for many events from party charters to indigenous events and events celebrating the Harbour like the Sydney Harbour Bridge’s 75 birthday anniversary where his ferry won a prize. The Project 1921, I have worked on this vessel for 30 years and and still maintain it to this day.